Coffee Dream celebrates 15 years of jump-starting our mornings, reviving our weary afternoons, and boosting our nights through their pure Pinoy refreshments. 2011 is clearly the banner year of business and with that comes surprises to all it's avid drinkers. Pick-A-Prize. This entitles customers to a freebie/privilege for a minimum purchase of P150. The customer picks a prize and instantly gets it. Capture Your Dream. This is an online photo contest where entries will be submitted and posted online through Coffee Dream's Facebook fan page. The most creative photo showcasing Coffee Dream will win cash prizes and gift certificates. Coffee Dream extends a 15-percent discount on a featured Chilled Blend of the Month. Free refill of freshly brewed coffee from 10:15 a.m. to 1:15 p.m. every 15th of the month. Aside from these exciting promos and contests, Coffee Dream brings "Your Piso, My Dream". For every Coffee Dream product you purchase, a peso will go to their fund drive. Cancer-stricken children of Kythe Foundation are the beneficiaries of this campaign. 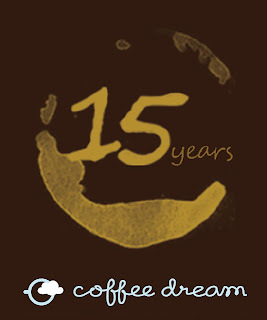 Coffee Dream also released 3 short films that highlight the coffee experience they gave to their costumers for the last 15 years. All films are directed by Franz Arrogante and team with local talents. Know what else is brewing at Coffee Dream. Click here.